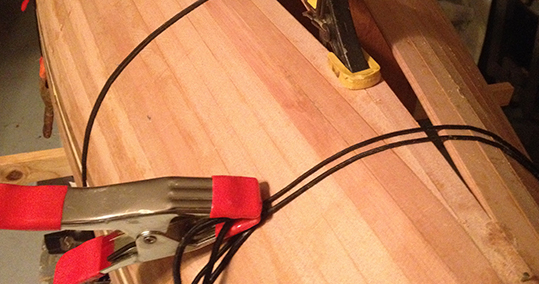 Feather Canoes | Wee Lassie | Feather Canoe plans and patterns for a classic cedar strip solo canoe you can build yourself. 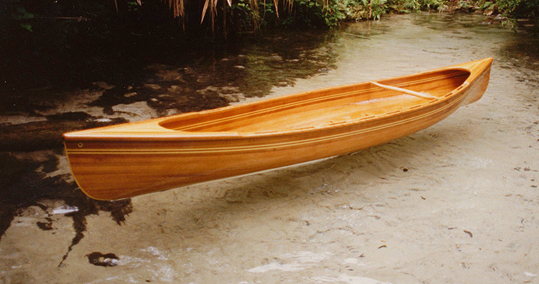 Wee Lassie Plans and Patterns by Feather Canoes, offering build-it-yourself Classic Cedar Strip Solo Canoes as designed by Henry A. "Mac" McCarthy, author of Woodenboat's "Featherweight Boatbuilding". 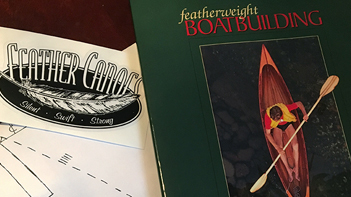 Get started now by ordering FeatherWeight Boatbuilding, and let Mac inspire and guide you as you build your own Wee Lassie canoe. 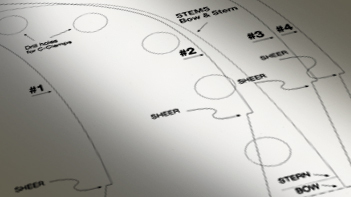 Save time with our full size mold patterns, hand drawn by Mac. Patterns for both a double and single bladed paddle are included. 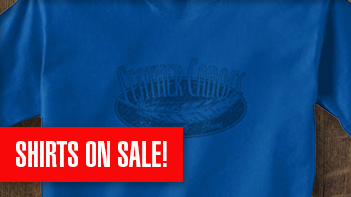 In addition to Feather Canoe t-shirts, check out our new Canoe Shirts, as well as Mac’s offerings of used books and other one–of–a–kind items. Mac McCarthy has a mission. His desire is to open our eyes to the natural beauty around us. See the elegance of nature, he says: see it in an elegant boat, built by ourselves. He has made the construction of featherweight boats accessible to everyone. I find the Wee Lassie a delight to paddle. Plus, my wife is really pleased to finally have a boat she can car top herself. The Wee Lassie affords us the opportunity to paddle just about anywhere. Check out some of the places we have visited lately. We have compiled the common questions folks have asked over the years. Plus, we have some some links to our favorite suppliers.